Chetan Maini, the Bangalore entrepreneur was selling electric cars (Reva) in India at the turn of this century, today, at the cusp of a electric vehicle revolution, he is back with a bigger, more audacious plan. His latest joint venture, SUN Mobility, aims to build an open-architecture ecosystem to accelerate the adoption of electric cars. At the core of this plan are interchangeable smart batteries that fit across a range of vehicles. The batteries will all be IOT-enabled and be part of a network of energy storage devices that can be easily swapped in and out of vehicles. The Indian government has been vocal and ambitious about using renewable energy to reduce the country’s dependance on oil. As per targets, the government plans to set up 175GW of renewable energy by 2022. On top of this, it has an equally ambitious plan of having 100% electric vehicles in the roads by 2030. “Today, electric cars are significantly more expensive that petrol vehicles. The cost of the batteries is 30–50% of this cost. If we remove the battery from the equation, the prices become comparable to regular cars,” says Maini. Imagine when you buy your electric car, you don’t pay for the batteries but only for the car. The battery / energy becomes a service, where you pay as you go, much like fuel today. If your battery is running low, you go to the nearest battery swap station and in about the same time (or less) it takes to refuel, someone swaps out your batteries and fits in another one, fully juiced up. You pay as you go and continue on your way. “The government is massively pushing for electric vehicle adoption. Having an open architecture ecosystem will be necessary to enable that,” says Uday Khemka, vice-chairman of SUN group. The big question, however, is whether the OEMs will buy into this completely new approach and design their vehicles around it. 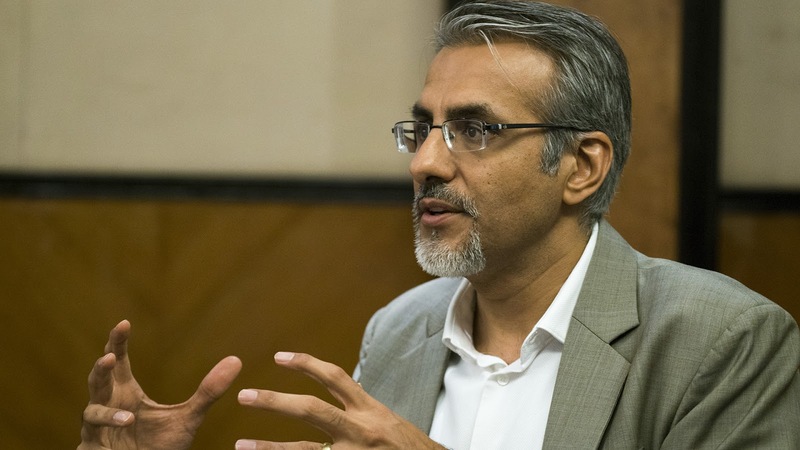 Here, Maini believes that the OEMs’ need to be part of this emerging industry, combined with limitations in their ability to manage batteries, will see them adopting the open solution readily as it will help them come to market quickly. It is also unclear if the pricing will be competitive given the initial investments that both OEMs and Sun Mobility will have to make to enable this ecosystem. Maini launched Reva seven years before the first Tesla hit the roads. Today, however, the time may have arrived. We’ll have to wait and watch if Sun Mobility can indeed revolutionise the electric car market in India. Besides addressing the issue of higher pricing of these cars due to the batteries, the solution also enables a faster way to set up infrastructure for electric cars and also provides a quick recharge (by swapping) that’s comparable to a fuel stop. The energy charges (powered by rapidly falling renewable energy prices) are also likely to be cheaper than gasoline. This is the ecosystem that SUN Mobility, which is a 50:50 joint venture between Virya Mobility 5.0 (owned by the Maini brothers) and Sun New Energy Systems (SUN Group’s flagship investment company in the new energy space), wants to build. The company will use its patented technology to create smart, modular batteries. However, it does not plan to set up a battery manufacturing capacity in India and instead will likely import the battery cells and then build on it. If your battery is running low, you go to the nearest battery swap station and in about the same time (or less) it takes to refuel, someone swaps out your batteries and fits in another one, fully juiced up. You pay as you go and continue on your way. Besides the smart batteries, the company plans to set up the infrastructure for charging and battery swap-stations (self-owned as well as through partnerships). It is also in conversations with energy providers to source renewable energy to keep this battery network juiced up. The technology will be cross-platform, meaning it will work across two-wheelers, three-wheelers, cars and even buses. More importantly, it would be an open, modular platform that works across vehicle original equipment manufacturers (OEMs). Maini believes that this is analogous to how the smartphone market evolved and standardising a key component like batteries could do the same for electric cars in India.